Summary: Wherever medium-hard and hard rock is processed to aggregates, chippings or sand, thyssenkrupp can provide impact crushers for an efficient operation. Typical applications are the crushing of limestone, dolomite, gypsum and phosphates as well as the comminution of building rubble and asphalt. Thanks to their compact design the crushers can be used both in stationary as well as in semi-mobile and mobile systems. Key features of thyssenkrupp impact crushers are the high size reduction ratio and cubic, stress-free end-products. Thanks to the high size reduction ratio of the impact crushers from 1:10 to 1:20, often one crushing stage can be saved in the processing operation. 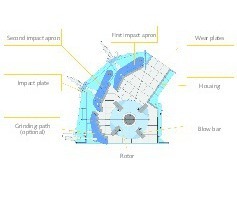 The heart of an impact crusher is the high-speed rotor (Fig. 1), which operates in a heavy duty housing. Adjustable impact aprons in the housing also substantially influence the crushing process. 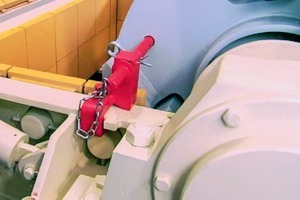 The material is fed via a feed inlet into the crusher and hit by the blow bars fixed to the rotor. The material is crushed as a result of the great impact . The material is broken along the naturally fractured surfaces and tossed against the first or the second impact apron, where it is crushed further. From here, the material gets fed back into the impact zone of the rotor. 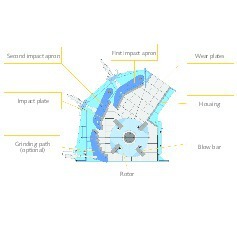 This process keeps repeating until the crushed material fits through the gap between impact apron and the rotor so that it can exit the crushing chamber at the bottom. Optionally, in primary and secondary impact crushers a grinding path can be installed, enabling further comminution. Essentially, grinding paths serve to limit the maximum size of the grain and to cubicize it. On account of its cubicity and absence of cracks and stresses, the product ensures high stability in road construction and in concrete. 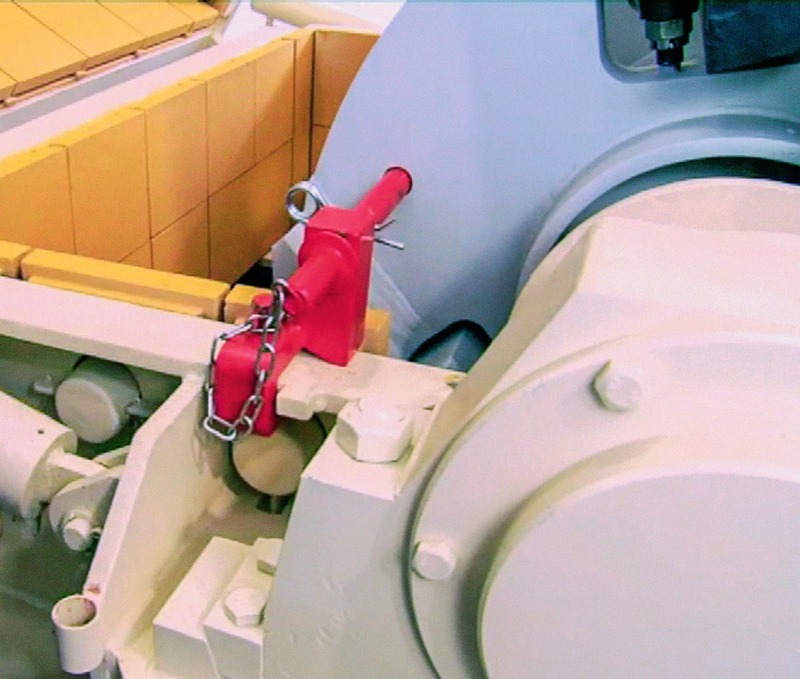 In order to achieve efficient crushing it is of importance for the feed material to enter into the rotor crushing zone right between the blow bars. For this reason, the rotor speed, the number of blow bars and the geometry of the inlet have to be carefully coordinated . If the rotor is operated at exceedingly high peripheral speeds, the feed material cannot get into the space between two blow bars. High wear and a low size reduction ratio would be the result. 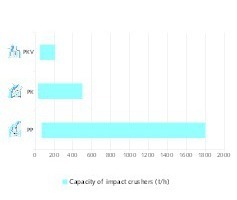 A key influence on the comminution process in the impact crusher is the rotor speed. Fig. 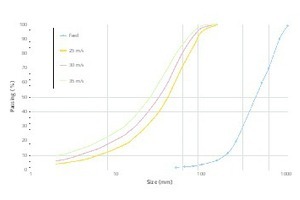 2 shows various product curves for limestone as a function of the rotor speed in the primary crushing stage. A higher rotor speed generally produces a finer product. So for a limestone feed in the size range 50 – 1000 mm at a rotor speed of 25 m/s, a product size P80 ≤ approx. 70 mm can be expected. If for the same feed, the rotor speed is increased to 35 m/s, the product size is reduced to P80 ≤ approx. 50 mm. The rotor speed can be easily adjusted by means of a motor with frequency converter or exchange of the belt pulleys. The impact aprons of the crusher can be adjusted hydraulically from outside the crusher. This enables the operator to adjust the crushing chamber quickly . When un-crushable materials, e.g. tramp iron enter the crushing chamber, the impact aprons are retracted towards the rear wall of the housing. 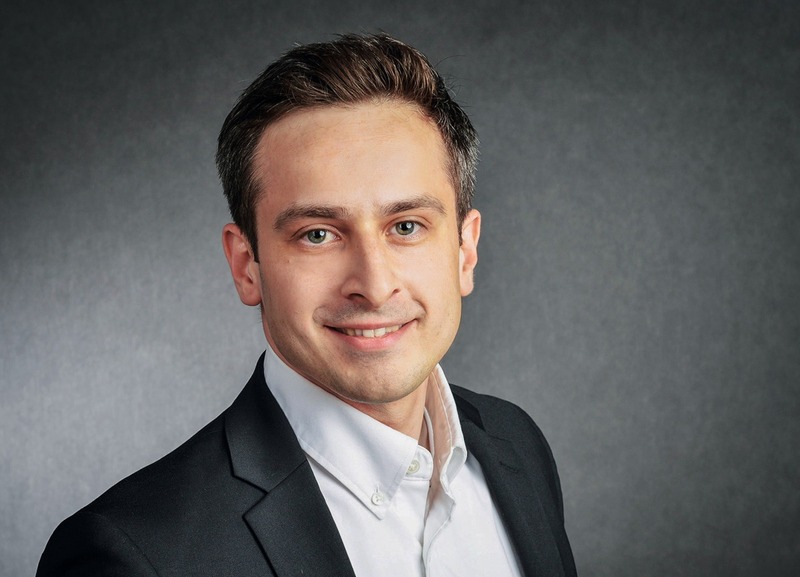 With thyssenkrupp’s automatic control system, further automation of the primary and secondary impact crusher can be achieved, offering additional operational reliability and facilitating adjustment of the impact aprons. Impact crushers that are equipped with the automated feature have hydraulically supported impact aprons. Any tramp metals or overloads occurring will cause a sudden pressure increase causing the hydraulic cylinders to retract and give way to the overload. The feed conveyor is stopped for a short time. After the overload has passed, the impact aprons are returned to the set position and material feed is restarted. In this way, damage from such overloads is largely eliminated. Moreover, the automatic control system allows for continuous monitoring of the position of the impact aprons and less vibrations during operation. 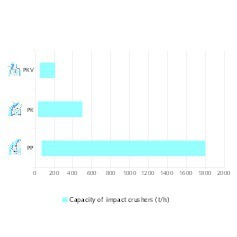 thyssenkrupp’s impact crusher portfolio comprises three product lines: primary, secondary and tertiary crushers. 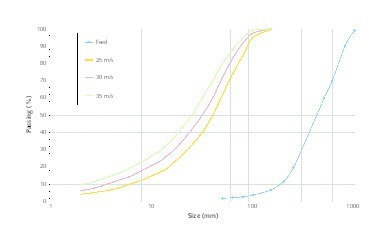 These differ in size, shape and the range of options(Fig. 3). The bigger primary crushers are suitable for large feed sizes and throughput rates. Feed sizes of up to 2.5 m3 can be processed and a P95 < 120 mm can be produced. If a grinding path isinstalled, a finer product in the range P95 < 80 mm can be achieved. Generally, in the primary stage, rotors with four blow bars are used at rotor speeds of 25 – 35 m/s. 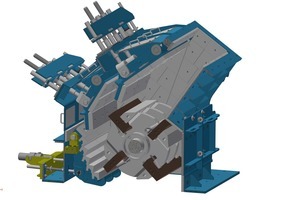 In secondary crushers, pre-crushed material with edge lengths of 150 – 280 mm gets crushed. Even harder rocks like granite or basalt can be processed. The rotor rotates at around 35 – 48 m/s and is equipped with four blow bars. With this, a product of < 35 mm can be produced. Secondary crushers, just like primary ones, can be equipped with a grinding path. 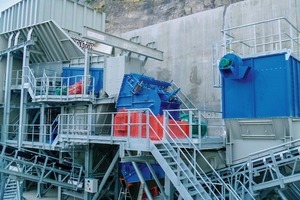 Tertiary crushers are used for the production of sands and chippings. They are operated at very high rotor speeds of 55 – 70 m/s. The rotors are sometimes only equipped with two blow bars to ensure the material enters into the impact zone between the blow bars . With feed sizes of up to 20 mm, sands with a size < 4 mm can be produced. Fig. 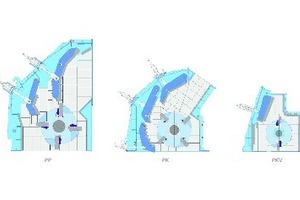 4 shows the application range based on the capacities. While primary crushers reach capacities up to 1800 t/h, secondary crushers reach up to 500 t/h, and tertiary crushers up to 210 t/h. With the operation of high-speed crushing machines, wear is unavoidable. I Impact crushers have three main areas of wear: the blow bars, the impact aprons and at the grinding beams of grinding path and the wear plates inside the crushing chamber. Good access to the wear-intensive areas of the crusher is important as well as safe and hazard-free handling of the components . For this reason, the entire upper part of the housing can be opened hydraulically and enables the service team to access crushing chamber and rotor in a safe way. The complete crushing chamber is lined with wear plates (Fig. 5). These are screwed onto the housing and stand out for their high degree of interchangeability which reduces maintenance costs and time during replacements. With regard to the handling of heavy components, the focus is on safety aspects. Fig. 6 and Fig. 7 show two safe solutions for working inside the crusher chamber. The rotor can be fixed with a bolt so that rotation is mechanically impossible. 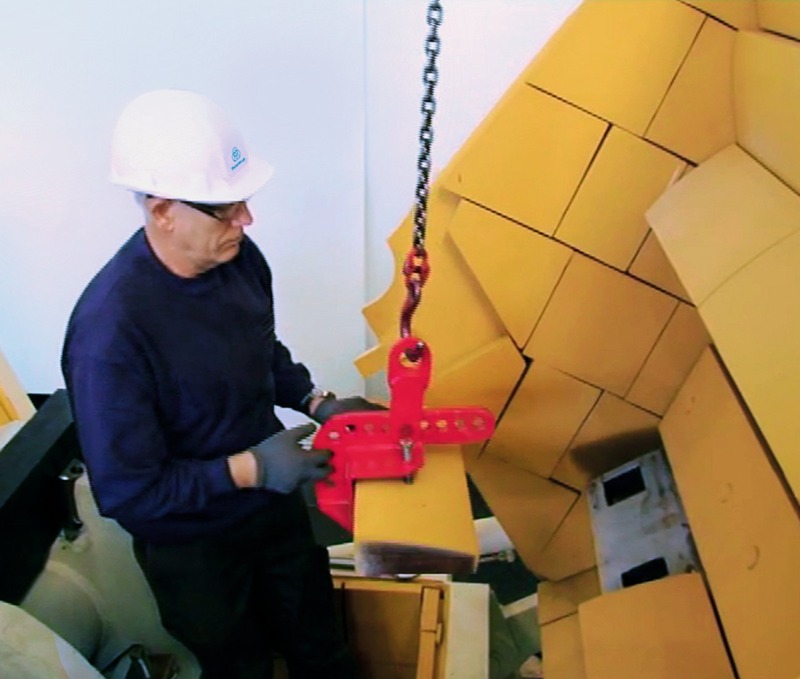 Furthermore, lifting-devices assist service personnel when changing impact plates. When having to lift the blow bars, similar devices ensure a fast and safe exchange. 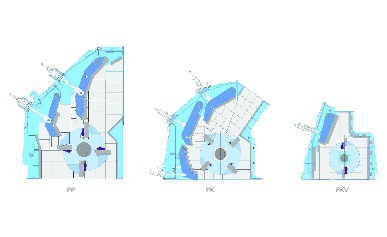 Optionally, a hydraulically driven rotor turning device can be supplied, which turns the rotor to the optimum position for replacement of the blow bars. thyssenkrupp impact crushers stand out for excellent product quality, great adaptability to the customer’s needs and outstanding serviceability. 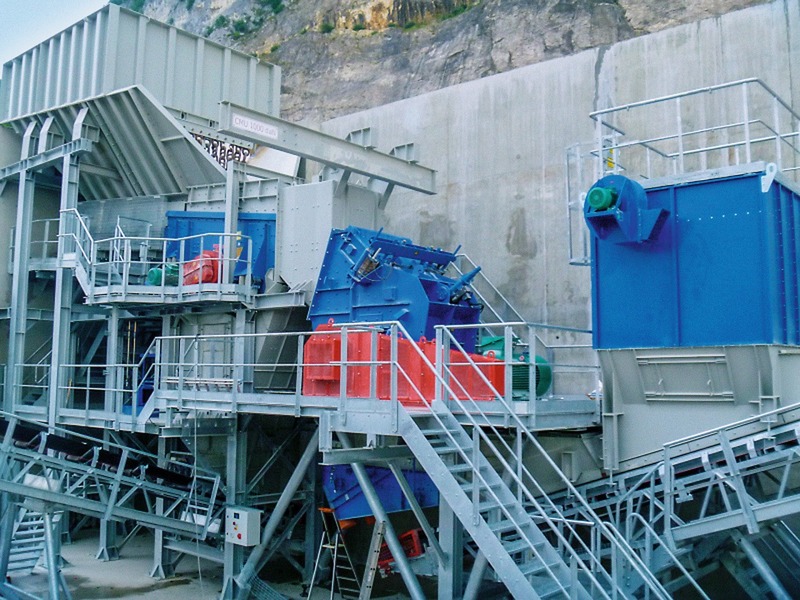 For the generation of aggregates, chippings and sands , impact crushing is the optimal method of processing. 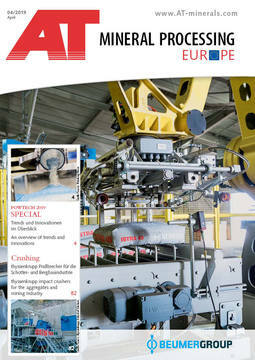 Impact crushers are in action worldwide as standalone machines or integrated inside processing plants. They produce the ideal aggregates for road construction and concrete.